Susan has been in healthcare for more than 33 years, starting as a teenager working in a long term care facility as a nursing assistant. The empathy required to care for people who no longer have their independence led to a nursing career which touches the lives of many people every year. From long term care to home health, hospice, inpatients and wound care there has always been a heartfelt commitment to help people find hope in their lives. Now, for more than a decade, she’s been helping people as a nurse practitioner. She has ANCC Board Certification in Psychiatry and as an Adult Nurse Practitioner with a focus on Internal Medicine and geriatrics. Susan’s education includes earning degrees at Purdue University in Indiana, with an AAS and RN, Jacksonville University in Florida, BSN, and The University of Texas at Arlington, MSN, ANP-BC and PMHNP-BC. 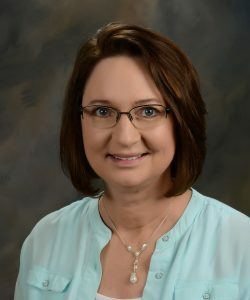 While earning a master’s degree and completing the dual nurse practitioner programs she placed in the top 1% of the student body and received an University Scholar Award along with several scholarships for her studies. Today, she still has empathy for her patients and wants to continue working within our rural healthcare community as your healthcare provider. When she’s away from work she enjoys spending time with family. As a hobby she raises, shows and milks her Nigerian Dwarf Goats. The milk can be used to make cheese, soap and butter. Everyone needs something in their lives to enjoy and it often arises from activities we did in the past or have always wanted to do with our time. It keeps us balanced.